As I mentioned in my blog about my art, I have taken a break from writing plays and set myself the challenge of writing an adventure story aimed at pre-teens (or Middle Grade fiction, as it is often known). 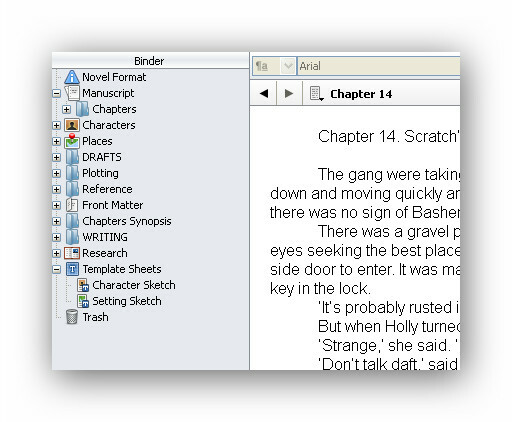 I am of course using my favourite writing tool, Scrivener. I love this program – it’s packed full of great features that enable me to store reference material, plotlines and character descriptions all in one place, so that I can look at them quickly and easily. 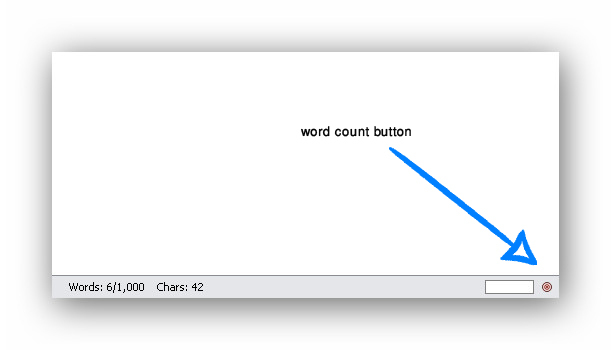 However, it has another useful tool which I’m only just beginning to make use of – the word count button. Keeping an eye on the number of words I wrote wasn’t that important when scripting a play. But as this is a book for children aged 9 – 12, I want to limit myself to 1,000 words per chapter – to maintain the pace and keep those young readers interested. 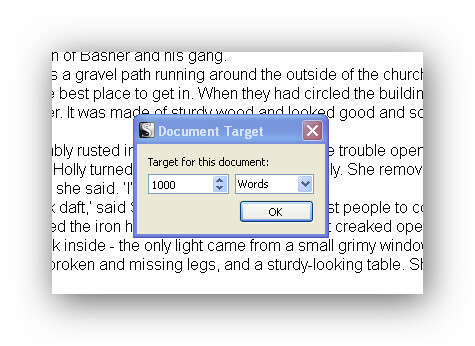 So I press the word count button in the bottom right of my work screen and up pops a window in which I set the number of words. 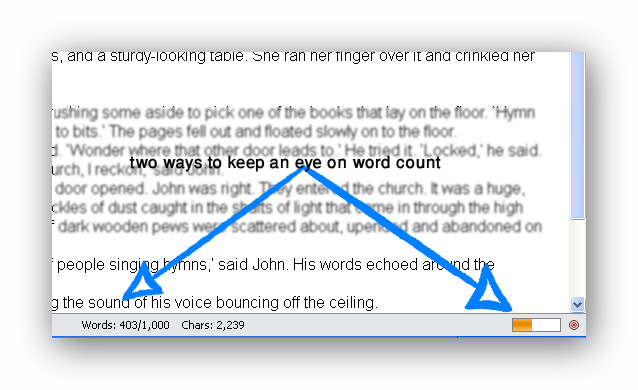 Then as I write I can see at a glance how close I am to reaching my target number of words – and know I have to work up to a cliff-hanger for the end of the chapter. A simple tool – but very useful. This entry was posted in Uncategorized and tagged Award-winner, Middle Grade fiction, new writing, Phil Mansell, playwright, Scrivener, word count, writing for pre-teens, writing tips. Bookmark the permalink.